Between September 19 – 22, twelve TP 52 and Soto 40 grand prix yachts will be back to battle in Mediterranean waters. The regatta will be hosted at Marina Real Juan Carlos I, the former Port America’s Cup, in Valencia, Spain. High-level sailing is back in Valencia. The city will host the Audi Valencia Cup, the season finale of the 52 Super Series and the Soto 40 class. In total there will be 12 race boats competing. The Audi Valencia Cup is the trophy that closes the 2012 season of the 52 Super Series, and will decide the champion of this new race circuit. Five teams, Audi Azzurra Sailing Team (ITA), Quantum Racing (USA), Ran Racing (SWE), Audi Sailing Team Powered by All4One (GER/FRA) and Gladiator (GBR) will vie for victory in seven races planned. The TP 52 class are the fastest sailboats in the world in coastal races for monohulls, and their crews are made up of some of the best sailors in the world. 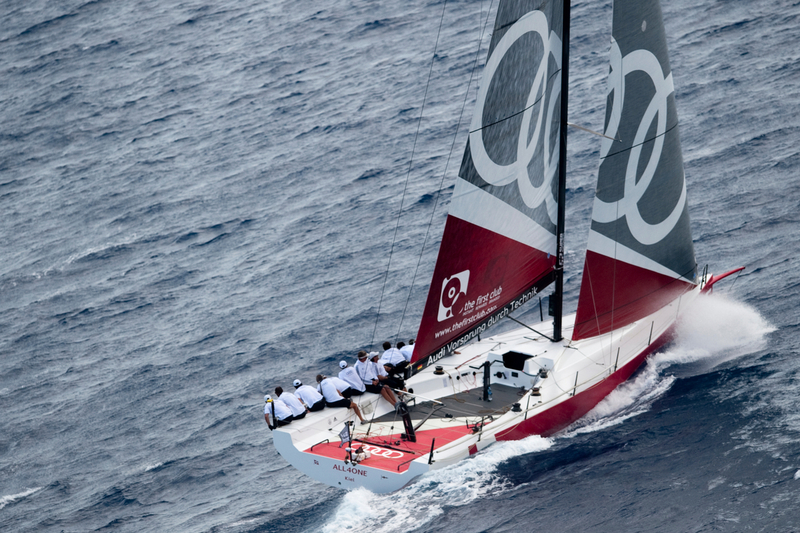 The Audi Valencia Cup marks a return for Ed Baird, skipper of Quantum Racing, to the race course where he led Alinghi to victory in the 32nd America’s Cup in 2007. It also marks the return to the city where the TP 52 class hosted their world championship in 2010. Besides the TP 52 fleet, the Soto 40 class will bring their European circuit to a close with the Audi Valencia Cup raising the total competing yachts to 12 participating in the event.